A great leather jacket is a beautiful thing. 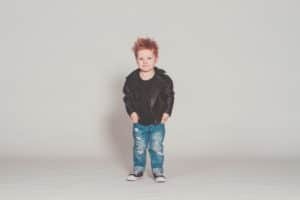 Whether a snug little crop bomber, a studded, zippered biker, a billowing trench or demi-cape, a leather coat is an investment that exudes an edgy ‘born to be wild’ attitude. From a practical standpoint, leather jackets are insulating and flexible with the ability to mould to the shape of their owner. Improving with age, a well-worn leather jacket hugs you like a faithful old friend. What is it about leather jackets? Leather has been worn since prehistoric times and each civilisation since as crafted new forms, functions and styles from it. In the early 1900’s leather jackets were adopted by European armies for their rugged strength and warmth. 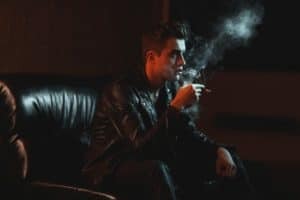 Half a century later, the leather jacket had moved to Hollywood where leading men such as Garry Cooper and Jimmy Stewart somehow imbued the garment with aspirational iconic cool. Over the course of the next 50 years, it was adopted as the garb of pop and subcultures like greasers, punks, rock stars and bikers. Its once bad boy reputation has softened but not entirely disappeared. Retaining some of its dangerous edge, the leather jacket remains universally appealing as a style statement and treasured wardrobe must-have. Worn by royals, mums, divas and superstars, the never boring leather jacket is a luxury garment, designed in a multitude of colours, finishes, cuts and man-made versions. 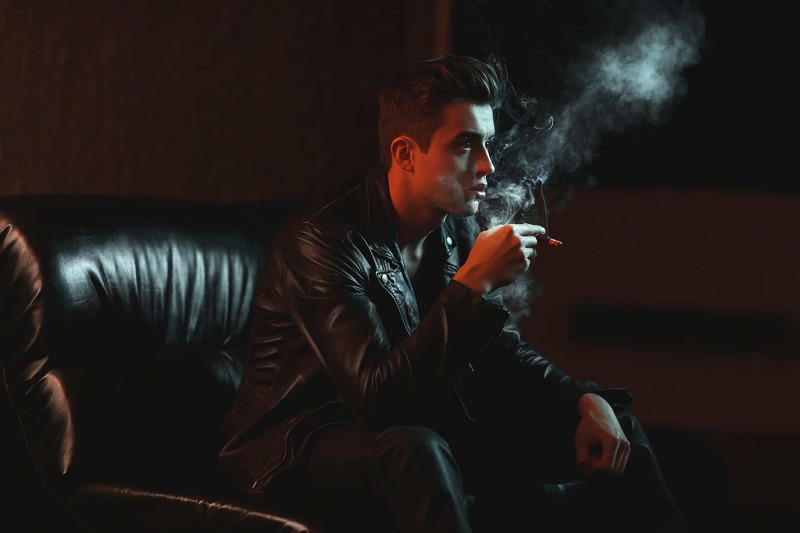 You may know how to rock a leather jacket but do you know how to care for it? This wardrobe hero has the potential to journey through the decade with you. Let’s look at what it needs to go the distance. 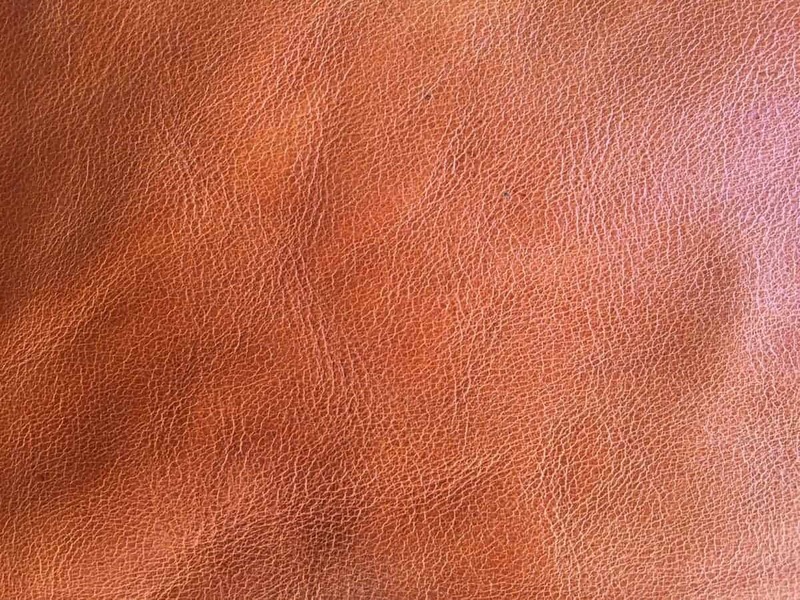 Unlike other materials, leather has pores through which it soaks in its environment as it ‘breathes’. 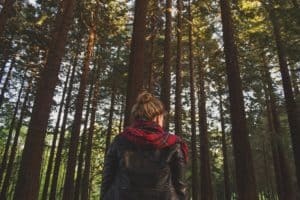 Taking in fresh air it is able to top up expelled moisture and release the unwelcome effects of smells, smoke, rain and pollution. 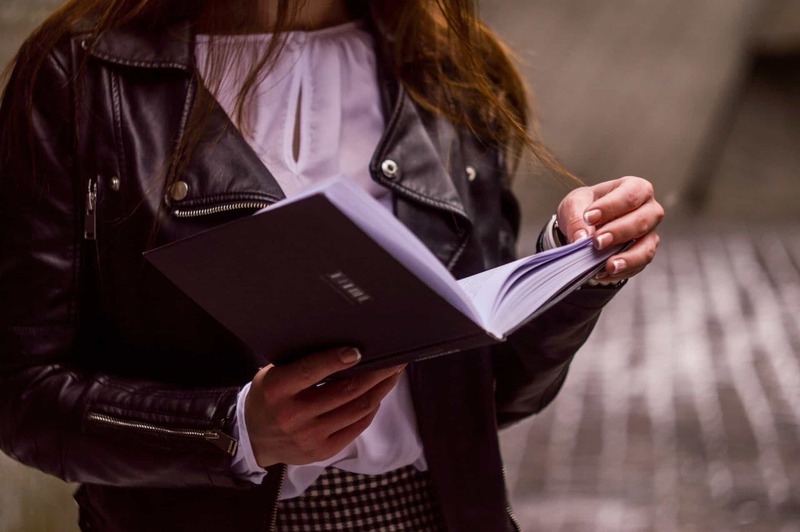 When wearing your leather jacket, try to avoid contact with abrasive surfaces that could scratch through protective coatings, erode pigments or wear the surface of your leather jacket. If you and your beloved jacket get caught in the rain, it’s not the end of the world. Remove as much water as you can by dabbing it with a clean dry cloth then hang it up to dry naturally in an airy location. Don’t force dry it or you could end up with a stiff corpse that may never return to its former glory. 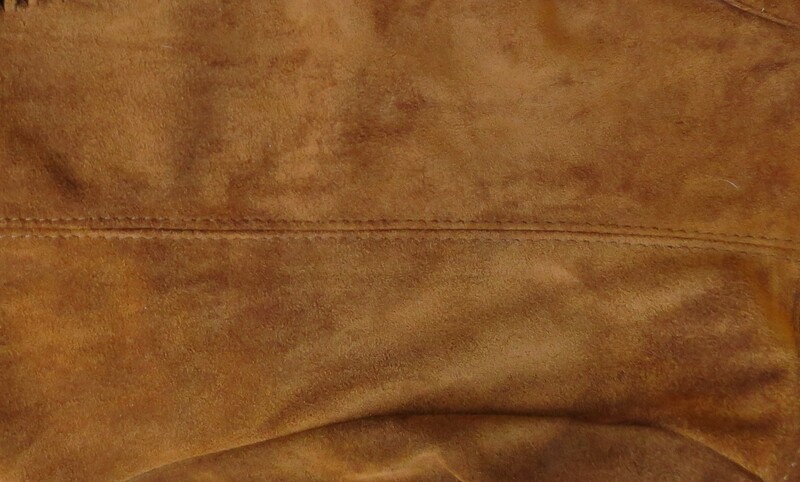 Cleaning your leather jacket isn’t a maybe, it’s a must. 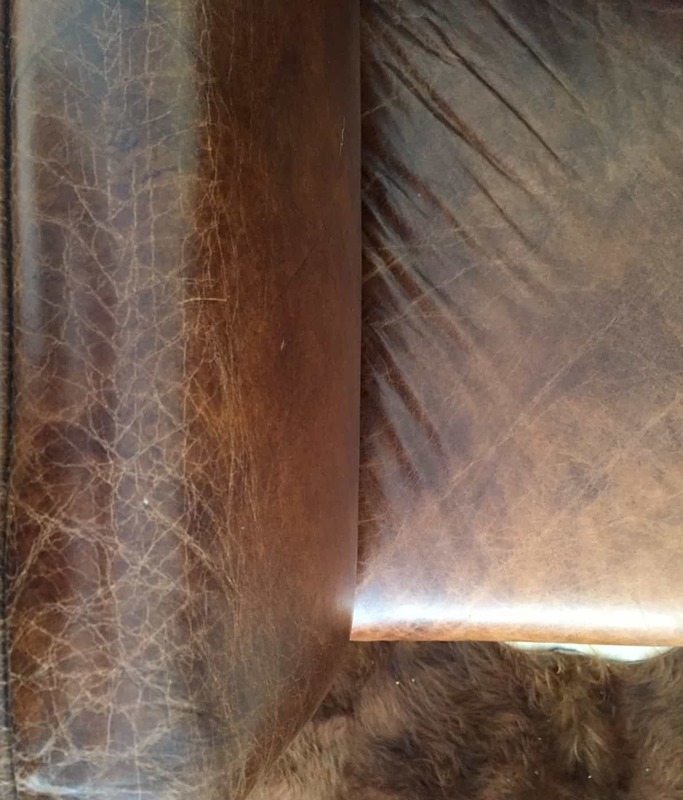 Remove the surface grime you can and can’t see with a good leather cleaner. 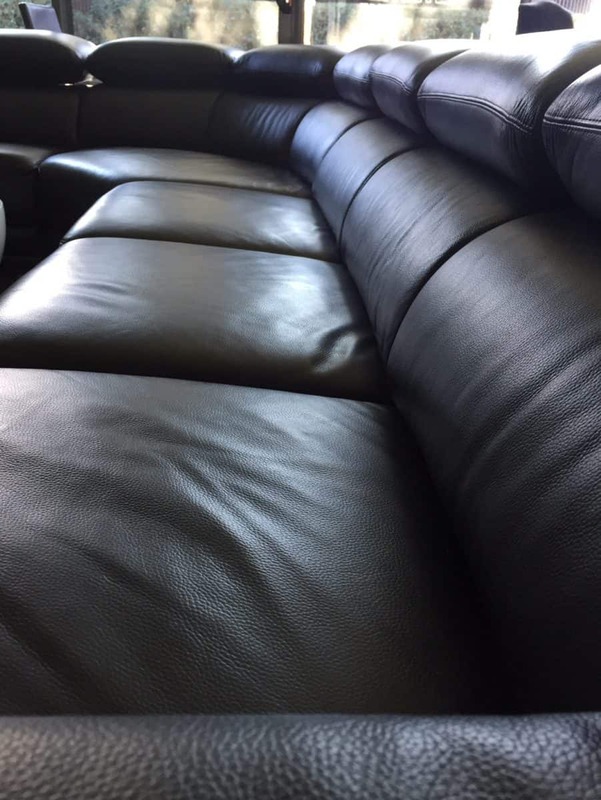 Dust, mould, body acids, oils and dirt can settle in the tiny pores in the surface of the leather. 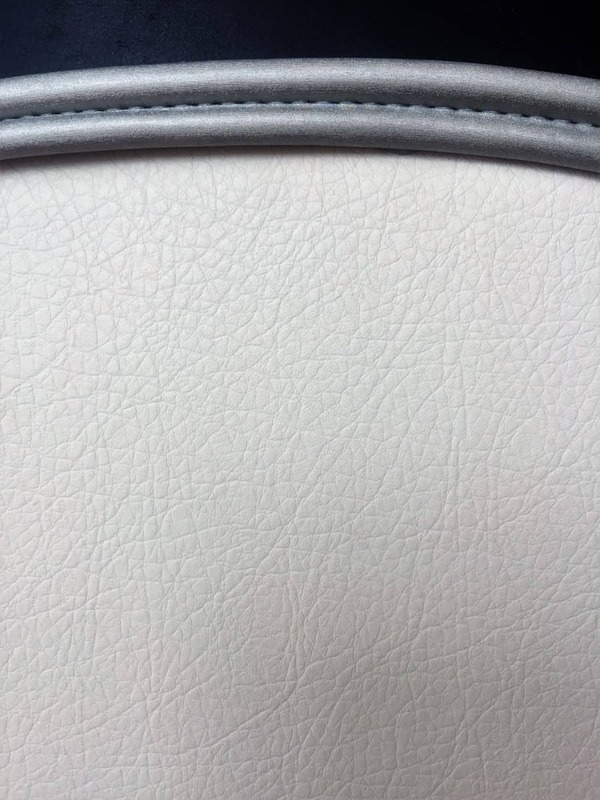 If left to build up, these contaminants clog the pores and break down the structure of your leather. Thinning, rips, holes and delamination follow and your much-loved jacket is on its way out. Remember that spills can become permanent stains so remove them quickly. Specialist products like the Leather Hero Ink Stick (No.17) are invaluable when your pen does the unthinkable and leaves an eye-catching blue squiggle right across the chest area of your white leather jacket! 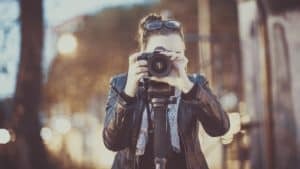 A light 3 monthly clean is preferable to waiting until your beloved jacket is choking on built-up grime that only harsh scrubbing will remove. A good leather conditioner contains lubricants that penetrate and nourish your leather with moisture. Over time and in dry environments your leathers natural lubricants break down and dissipate. Under the surface, it’s made up of a myriad of fibres knitted together by protein bonds. If these fibres are allowed to become parched, brittle and dry, they start to rub together, abrade one another and eventually, they disintegrate. That’s why conditioning your leather jacket with a good leather conditioner is so important to keep your leather jacket supple. ‘’Protection? Is my jacket under attack?’’ I hear you ask. The answer is ‘’yes, it’s under attack’’. Remember all of those icky human oils, dirt, mould and grime? A protector with anti-soiling properties helps to prevent dirt from sticking, water from absorbing, UV from drying and stains from penetrating. A good protector is like an ‘insurance policy’ that improves the cleanability and stain resistance of your leather. 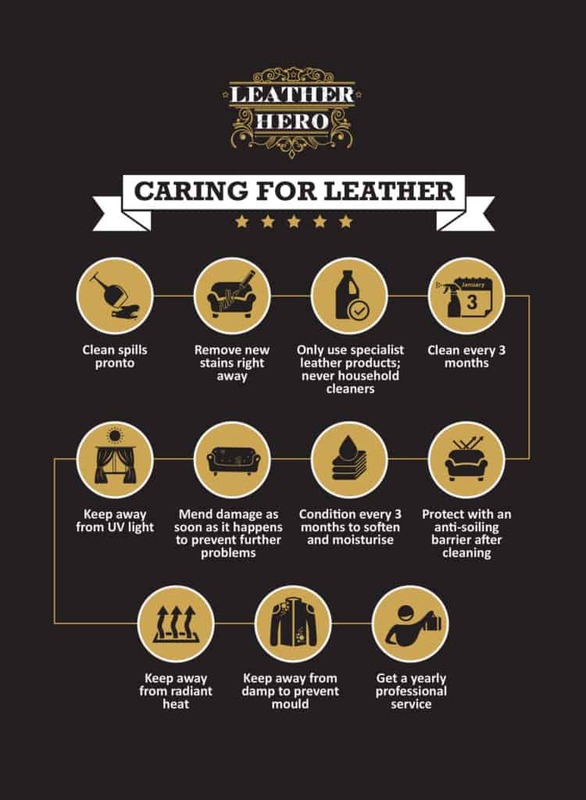 A specialist protector like Leather Hero Protect (No.2) forms a flexible, invisible, breathable barrier that safely repels the factors that degrade leather health. How you store your jacket over summer is a key consideration. Follow these simple rules to ensure its preservation during the offseason. • Find a cool, dry environment for your jackets slumber. Heat is not good news for leather. Leather expands when exposed to high heat so avoid direct sunlight, exposed light bulbs in your closet or warm air vents. Once a leather coat loses its shape, there’s no way of restoring it back to its former shapely self. • Store away from damp. Mould spores and mildew just need the right conditions to grow. 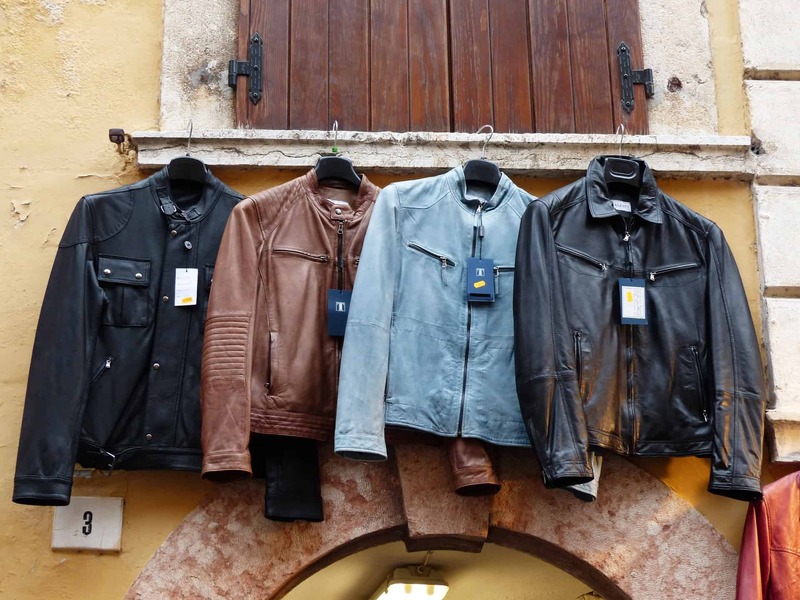 Store your leather jacket away from humid conditions and chronic damp. • Cover it with a cotton garment bag. This will ensure your jacket emerges from its hibernation dust free and ready for an outing. • Hang it using a sturdy wooden or padded coat hanger. Empty the pockets as continuous weight could cause stretching. Follow these tips when storing your leather jacket and it will be ready to step out in style next time you are. Accidents happened and time can take its toll on the dyes, pigments and coatings. Small rips can be corrected using a DIY leather repair kit. A good kit contains everything you need to do a pro job; leather surface prep, pigments and conditioner. You’ll amaze yourself when you masterfully conceal small scuffs, holes, rips and stains, effectively turning back time for your favourite leather jacket. Got a black leather jacket? Give it a new lease on life with Leather Hero’s Black Jacket Reviver No.16. It’s a unique semi-transparent, easy to use, colour boosting, protective cream for black leather designed with your black leather jacket in mind. It lets you bring back a rich, deep black without adding opacity or shine. You can wipe away years of cosmetic damage and revive the original depth of colour all in one project hour. 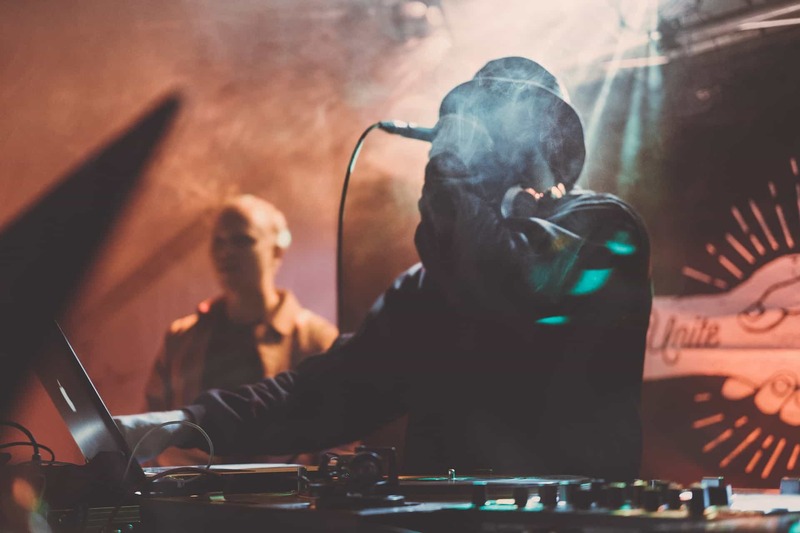 Perhaps it’s the robust yet soft shell nature of a leather coat that makes it feel like a really cool ‘’me against the world’’ shield or perhaps it’s just that it’s not fabric that makes a leather jacket so special. 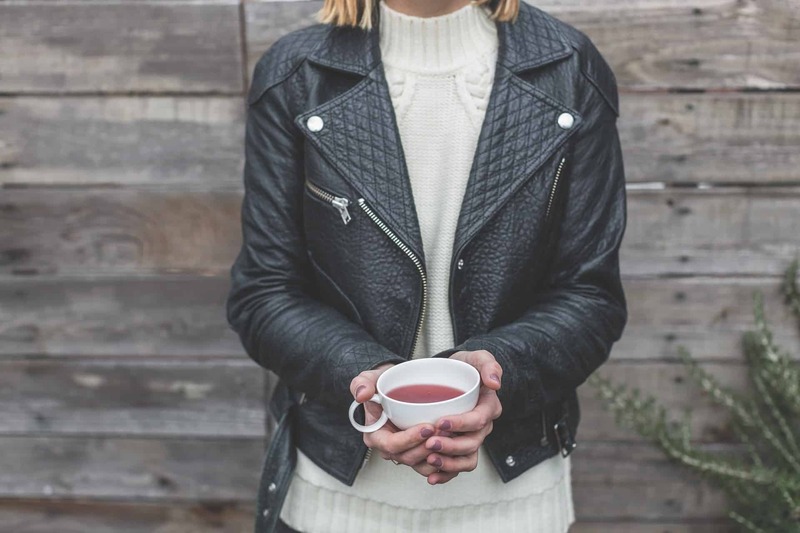 But whatever it is, for those of us who love our leather jackets, there’s nothing we’d rather wear.